Express Avenue is where you will want to be next Friday, as Krispy Kreme Doughnuts will be opening their first branch in the city. More than a year after their launch in Bangalore, the American giant has decided to call on Chennai. But after several local outlets like Funk Jazz and Yummy Doughnuts having tried and given up, is the city ready for a Krispy Kreme? a�?It is an age old brand and has been successful in several cities. 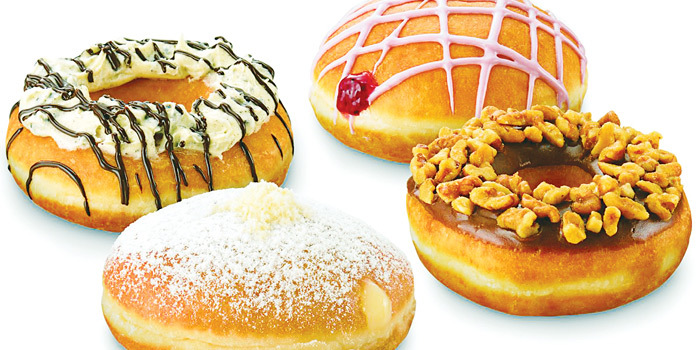 I think Donut House introduced the city to doughnuts, but Krispy Kreme will take us one step higher,a�? feels Minal Kripalani, a city-based baker and confectioner. The owner of Donut House, a fan of the brand himself, Bhuvanesh Subarayan says, a�?They will promote doughnuts on a large scale. There will be competition, but I believe we have an advantage a�� our prime locations, price points and variety too.a�? Donut House is eight outlets strong in the city and food consultant JK Madan feels that the a�?vegetariana�� formula worked for them. And while Madan is eagerly waiting for Dunkina�� Donuts, he admits that expectations are high with Krispy Kreme. a�?We are looking forward to the old-fashioned glazed, sugar dusted and chocolate dipped.a�? 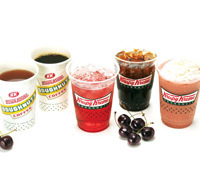 On the menu, wea��re expecting to find the usual suspects like their world famous Original Glazed doughnuts, the Chocolate Iced ones and the Almond Chocolate doughnut, in addition to beverages like hot and cold coffees and hot chocolate. At their outlets in Bangalore, discounts lure you with specials like 50 per cent off on their boxes on Tuesdays while Hallmark festivals like Valentinea��s Day get pride of place alongside Diwali and Christmas with specially crafted doughnuts to suit the seasons. And while the thrill of the world-famous doughnut chain is dizzying enough, we hear that the first person to make a purchase at the Chennai store will get a yeara��s supply of free doughnuts. What are you waiting for?